Greed is good. That was the credo of 1980s America, typified by an Oscar-winning performance by Michael Douglas as Gordon Gecko in Wall Street. It was the Reaganite decade of takeovers, corporate raiders, junk-bond traders and asset-strippers. It was about one thing: money. It was also the decade China cautiously opened its doors to the world. The time when Yang Pei who describes himself, anomalously, as a social activist and a young entrepreneur, was born. There is no greed in the equation, but money, yes. The 26-year old chief executive officer runs a 40-strong SNS (social network services) website to bring together business people into the community he has established. Business is growing fast. Shanghai-based www.365ju.com has signed up more than 130,000 subscribers and set up offices in Beijng, Hangzhou and Shenzhen. Yang has successfully engineered more than 200 parties and symposiums for subscribers to help them establish business contacts the high-tech equivalent of guanxi, or networking, which is crucial to business success in China. His ambition, Yang says, is to build the largest interpersonal relationship network both online and offline. Yang is one of a growing number of young entrepreneurs in China who were born in the 1980s and stimulated by a growing entrepreneurial spirit are starting their own businesses. That marks a profound change. In the 1980s, most young people aspired for an "iron rice bowl," or guaranteed job security with steady income and benefits at a State-owned enterprise. In the 1990s, young graduates were aiming for well-paid jobs in multinational corporations. This decade, more are becoming bold enough to embark on start-ups and become their own bosses. And some have not even bothered with university education. Li Xiang, CEO of PCPOP, born in 1981, gave up the opportunity to enter university to run his website. Mao Kankan, born in 1983, dropped out of high school in 2000 and started his own businesses. He is now chief operating officer and architect of Beijing Aihang Industry Co Ltd's Majoy Project, a combination of face-to-face real-player digital games. All the young technopreneurs have something in common: they are ambitious, innovative and want to break the mould. "We never set limits for ourselves. We know we could do even better," says Yang, adding that vast majority of his employees were born in the 1980s. There are already many SNS websites in China, connecting people for specific activities, in most cases, match-making. But Yang is quick to stress that such a model also fits business people. "About 80 per cent of business people in China, in fact, are not skilled at computers and Internet communications," he says. The "offline" parties and symposiums with various themes can be very complementary. Online games are popular in China, which spawned success stories such as NASDAQ-listed Shanda Interactive Entertainment and NetEase. But Mao Kankan thought he could offer a new and more exciting interactive gaming experience. Majoy players gather in a park in western Beijing's Shijingshan District for "pro-real" action, put on special clothing and masks and use PDAs (personal digital assistants), digital cameras, digital video cameras, bluetooth-enabled glasses, infra-red guns and even laptops. It's difficult for players to tell whether they are playing online or offline. Majoy started a trial in October with an investment of 300 million yuan (US$38 million) secured by Mao, who expects it to be go into operation officially in February. "If everything goes as well as planned, I hope it will earn 30 million yuan (US$3.8 million) next year," says Mao, who leads a 76-strong team. But it is not just ambition and drive that mark the 1980s generation it is also their outgoing personality and communication skills. Yang describes himself as being good at "showing off" and PR (public relations) campaigns. "I like delivering speeches and feel proud of my speaking ability," he says. "In several cases, I helped members of our SNS website, who are generally older than me, to lobby investors. They are really not gifted with a silver tongue." Gao Ran, also an eloquent speaker, is already a media star and frequently joins established business people such as real estate tycoon Pan Shiyi and media magnate Wang Zhongjun, and lectures them on how the Internet is developing in China. The rapid rise of young entrepreneurs underlines a drastic shift in mindset in the public as well as an improving environment for start-ups. In the West, it is hardly rare for a youth to drop out from universities or high schools to start up businesses Bill Gates being a famous case in point. But in China, it is almost unthinkable for a family which can afford the education. Besides, in a society where reverence to elders is tradition, it is difficult for young bosses to be successful. Mao, who looks younger than his years, says he sometimes senses discrimination when talking to older people about business. "But things are getting better." Paul Gao, born in 1975, was not that lucky. Gao started his first business in 1997. His personal homepage was one of the most visited of its kind in China for a while. Gao launched several start-ups but none was successful and secured his first venture capital funds worth US$1.8 million only in February. There could be many reasons explaining his tough times but one reality is that previously there was no sound environment for 20-somethings who wanted to strike out on their own. "In fact, even in the late 1990s, it was very hard for a very young guy to start businesses. Without connections in the governments and business circles, it was impossible," says Bill Zhao, executive director of Hina Group, an investment banking and private equity firm. "Now, if you have ideas or innovations, it is definitely possible." The growing spirit of entrepreneurship in society has been the catalyst. According to the Global Entrepreneurship Monitor (GEM), a research programme studying the annual assessment of the national level of entrepreneurial activity globally, China got 13.7 marks last year in the Total Entrepreneurial Activity (TEA) index. The index indicates the percentage of the labour force actively involved in setting up a company, or being the owner/manager of a company which is less than 42 months old. That means 13.7 out of every 100 Chinese people are involved in start-ups. In 2003, the TEA index stood at 12. And the government is encouraging start-ups. Entrepreneurship is key to economic growth because start-ups create most new jobs that fuel the economy. 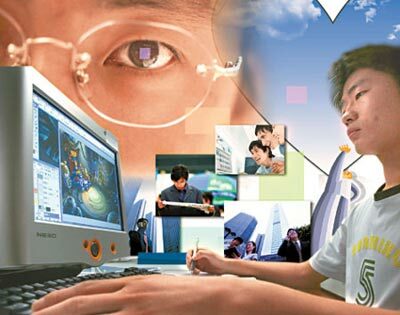 According to the Ministry of Education, the employment rate for university students was 72.6 per cent last year and to ease the job pressure and foster students' skills, a number of universities such as Tsinghua, have launched competitions or training programmes for students to start up businesses. The government has even launched professional institutions such as Youth Business China, which has partnerships with several international foundations, to help young people set up businesses. As most start-ups focus on the Internet sector, Zhao says the 1980s generation might have a better chance than those born before even though they may be lacking in management skills. Hina focuses on the technology sector and has invested in a number of Internet firms such as Oak Pacific Interactive. "Frankly, when we invest in Internet companies or new media companies, we usually don't favour those start-ups headed by older people," says Zhao. "We are concerned that they might not understand the consumption pattern of young Internet users." Most of the young bosses are computer geeks. Yang was a top-notch online gamer; while Dai Zhikang, CEO of Discuz who was born in 1981, designed a software for BBS called Discuz which is a standard in China's Internet community. Statistics by China Internet Network Information Centre (CNNIC) showed that China had 123 million Internet users by June. Youth aged between 18-24 accounted for 38.9 per cent of the country's Internet population and those aged below 18 accounted for 14.9 per cent. The increasing venture capital (VC) frenzy in China will see more people in their 20s set up their own businesses, says Fang Xingdong, an Internet veteran. "In the 1990s, it was hard to get VC funds but now, they are much more accessible," says Fang. VC firms raised US$4.07 billion worldwide last year to invest in China, nearly five times the average of the previous three years, according to Zero2ipo Ltd, a Beijing-based research firm. Internet-related and new media companies are absorbing the majority of VC funds: Discuz has secured a US$1.5 million from Sequoia Capital, one of the world's largest VC firms. And Gao Ran's MySee also attracted more than US$10 million in VC. But is all too much of a good thing? That's the worry as fears rise about a bubble. "There are always bubbles. But on the whole, the potential of China's Internet market is far from being tapped. The increasing entrepreneurship, in fact, bodes well for the market," Fang says. As long as they don't get in over their heads - like in Wall Street.